What is the purpose of this candidature? What skills do I have that may be useful for job? Will I enjoy working with people? Do I have enough energy and can I motivate myself? 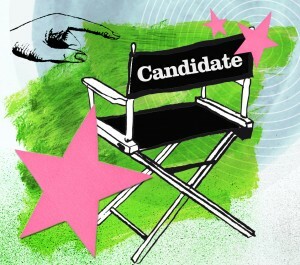 Is this the right time for a candidature? Do I have the personal qualifications to convince people? A basic requirement is to show respect to people, irrespective of their political orientation. It is necessary to attack opponents to show their substantive shortcomings, if it is appropriate to your own strategy. But this never should lead to personal, private attacks. Candidates should be empathetic and listen to people, to the needs they articulate. It is more important to learn from their perspective, than from expensive surveys. Not for nothing is a politician – i.e. a ‘man or woman of the people’ – more popular than an introvert. Someone who can reflect on the activities he or she undertakes could have what it takes to make a good politician. Employees must also be allowed to express themselves and question you critically; they are not there simply to carry out the decisions their superiors make. Expert knowledge: You must know the legislative process, and the department you are responsible for. Communication: In the multimedia-centred world of press, radio, television and internet, you must be familiar with the communication rules to be competitive. Efficiency: Be aware that you have a lot of issues to work on, a lot of problems to solve. You will therefore need plenty of energy and to be able to resolve the problems efficiently. Within a well organised structure, you will have the possibility to ‘sell’ your successes. Credibility: Be honest to people, try to be authentic. That is the best way to be viewed as a politician the people can put their trust in. Vision: Voters and potential voters want to know your programme and your positions. Don’t change your mind every day, don’t offer people a constantly different vision of what you want to work on. Responsibility: Take your responsibility seriously. Make promises and work hard to carry them out. Take action! Development: Be self-critical and work on your own development. This is a crucial aspect of leadership!